SPECIAL DEAL - Usually 59.95, today just 29.95 - Save £30! 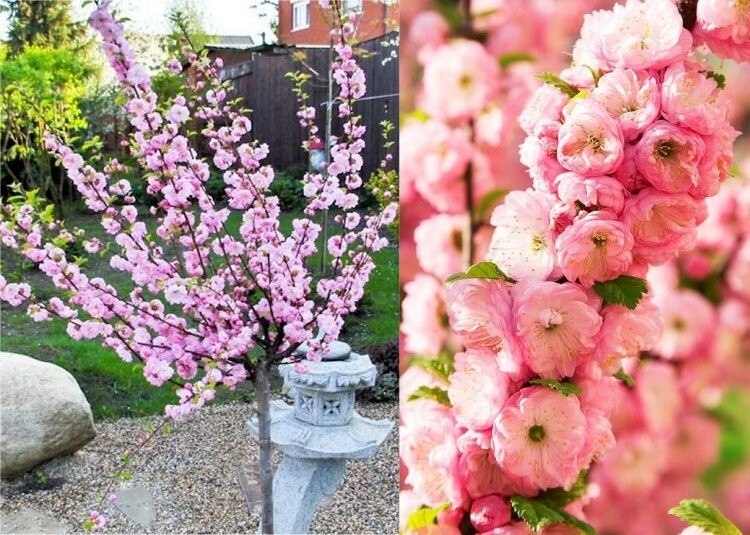 This is a fantastic, magnificent 5-6ft tall tree delivered in beautiful bud and bursting in to bloom in season. 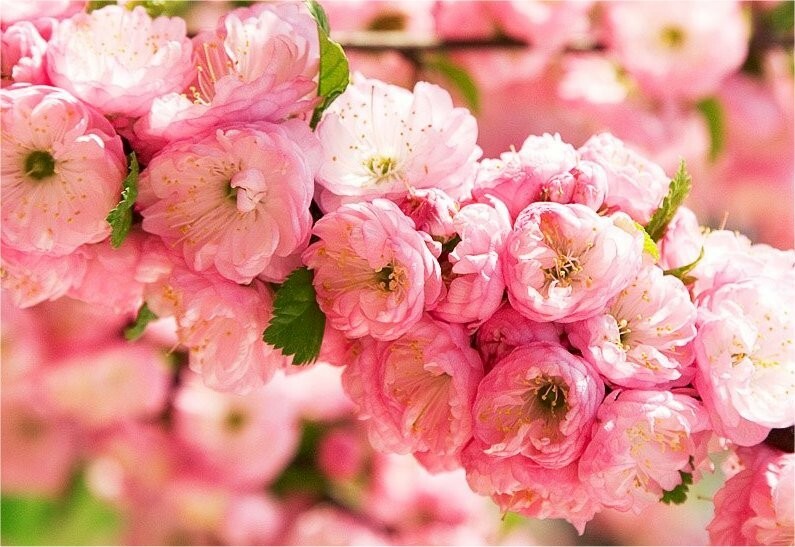 The double flowering cherry-almond blooms in April and May, it originates from the far east where it is famed as a herald of Spring. It is a dwarf compact tree that can grow upto 3 metres (10ft) tall, but is easily maintained at half that height if required. The tree also displays outstanding yellow-bronze autumn colour. The medium-green leaves of this flowering tree have an elongated oval shape, and finely toothed edges, providing light dappled shade in the summer months to anything below. 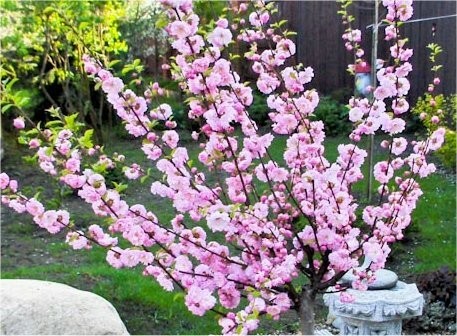 The flowering cherry-almond is ideal in the garden or near the house. 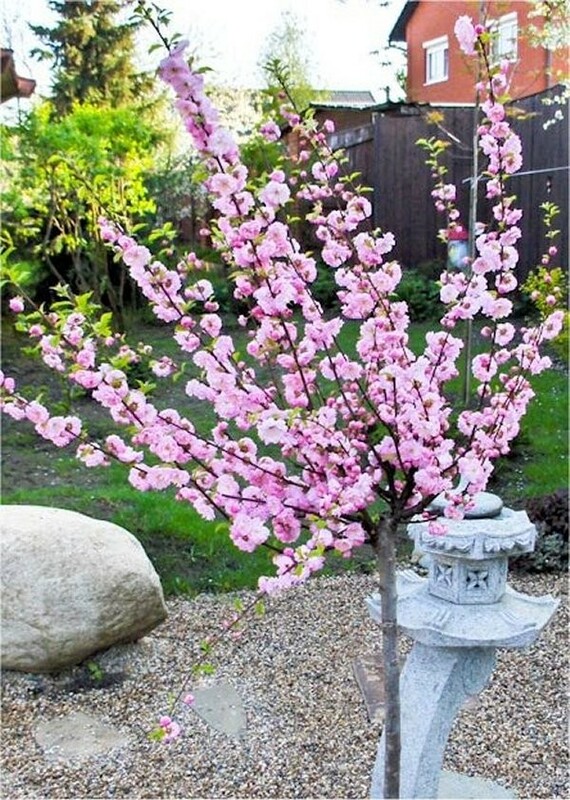 Planted in a row, an avenue of trees consisting of the flowering cherry-almond will create an attractive and impressive border along a path, patio or property line. Not only will this rustic plant withstand the toughest of winters but it is also gifted with a resistance to most pests and diseases. This adaptable plant will also grow harmoniously on its own, and in it's standard form such as this, will look fantastic in a courtyard planter. 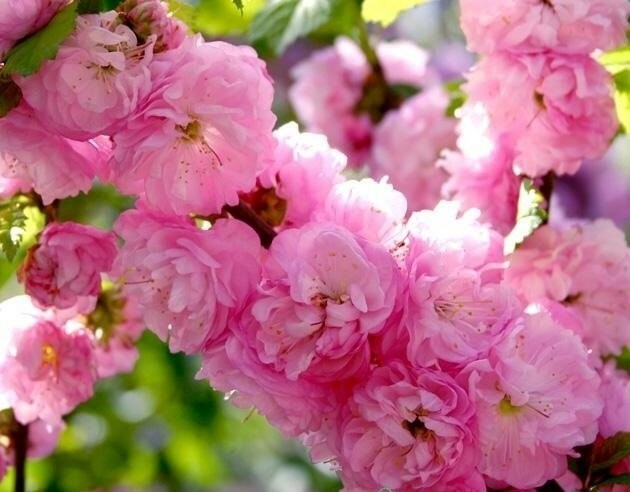 In any case, it makes a perfect plant for the most modern to the most traditional of gardens, why not try planted as a solitary specimen, and trained into a graceful tree in it's own right? Or maybe plant an avenue of trees flanking a long a driveway to create an impressive entrance to a larger property. 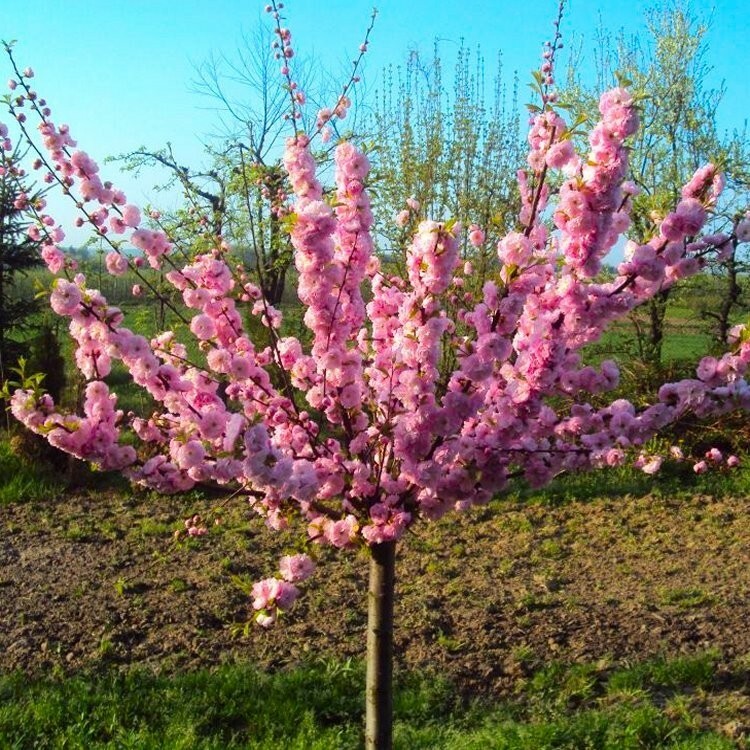 Large heavy grade trees are supplied at around 140-180cms (5-6ft) tall, and resemble the tree pictured on delivery in the blooming season.